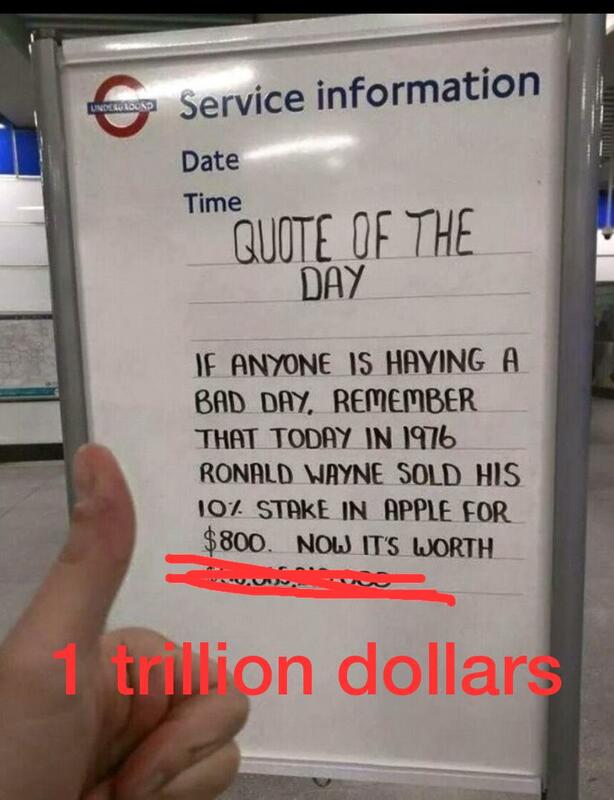 To just type it out: if anyone is having a bad day, remember that today in 1976, Ronald Wayne sold his 10% stake in Apple (AAPL US) for $800. 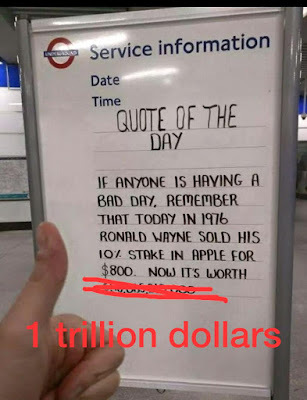 Today (Sep 2018) Apple is worth 1,081,130,640,000 dollars. Remember: compounding is the eighth wonder of the world. Happy CNY 2019! Huat Ah! Bcos We Are Singaporeans!